Inglis Lyon, Managing Director, Highlands and Islands Airports Limited (HIAL). Pension obligations has seen losses soar at publicly-owned airport operator Highlands and Islands Airports (Hial). Figures released by the company yesterday, which is wholly owned by the Scottish Ministers and is responsible for the management and operation of 11 airports across the Highlands and Islands, said they had boosted revenue for the year ending March 31 to £24.9m up from £22m. But the firm also recorded pre-tax losses of £3.1m – up from just £985,000 the year before. The operating loss for the year was also up to £2.2 million compared with £8,000 in the year 2016/2017. The firm said this was primarily due to accounting for the amendments to pension costs year-on-year in order that Hial’s future pension obligations are met. 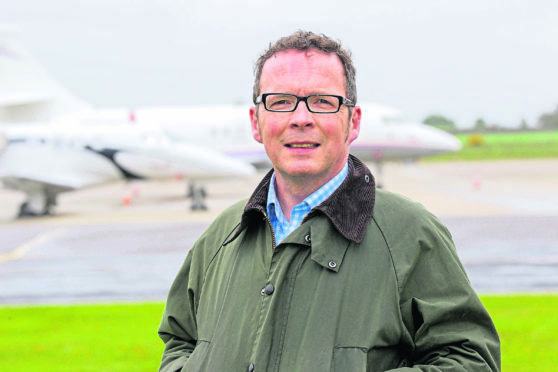 Hial chief executive, Inglis Lyon, said the company had invested almost £10m in the last financial year and would continue to work towards ensuring sustainable long-term aviation connectivity for the Highlands and Islands.